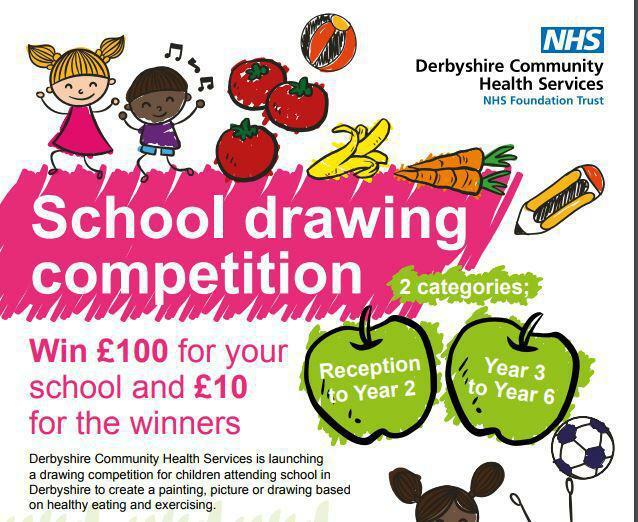 Derbyshire Community Health Services NHS Foundation Trust (DCHS) is launching a drawing competition for all children attending primary school in Derbyshire to create a painting, picture or drawing based on healthy eating and exercising. This is a great opportunity to win a voucher for our school with the winning entries in both age categories winning a £100 voucher for Granby and a £10 voucher for each winning pupil. 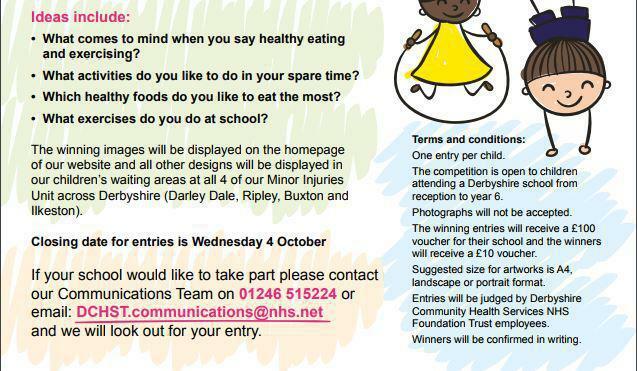 We would love you to get involved and the winning entries will be displayed on the homepage of our DCHS' website and all entries will be displayed in their children’s waiting rooms within the four Minor Injuries Units across Derbyshire. Please see the attached poster for full details of the competition.